Terms and Conditions for the Praxell Inc., Mango Savings Feature. This document constitutes the agreement (“Agreement”) outlining the terms and conditions for theMango Savings Feature (“Savings” or “Savings Feature”) managed by the Program Manager, Praxell, Inc.This Savings Feature is not provided by Metropolitan Commercial Bank. It is a separate incentive feature provided by Praxell, Inc.(“Praxell”), as the Program Manager of the Mango Prepaid Mastercard.For customer service, additional information, or questions regarding the Mango Savings Feature, please write to us at: Praxell Inc., – Mango Savings Feature Customer Service, P.O. Box 315, New York, NY 10018; call Mango Savings Feature Customer Service toll-free at 855-687-2036; or visit go.mangomoney.com (the “Website”). In this Agreement the words“You” and “your” means the person who is the eligible participant in the Mango Savings Feature. Agreement Definitions. The Savings Feature is a separate incentive provided by Praxell,the Program Manager, to a participating Mango cardholder, and it is a feature that is separated and apart from the Mango Prepaid Mastercard issued and owned by Metropolitan Commercial Bank. 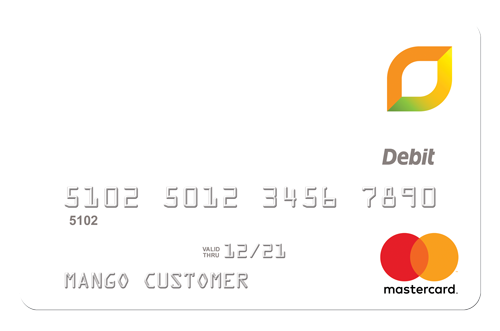 Participation in the Mango Savings Feature requires a fully verified Mango Prepaid Mastercard. Unless specified herein, the terms and conditions that apply to the Mango Savings Feature are not applicable to the Mango Prepaid Mastercard, which is issued and owned by Metropolitan Commercial Bank. Interest Rates, Earnings and Minimum requirements are set by Praxell. Acceptance and Usage. By transferring funds from your Mango Prepaid Mastercardto your Savings Feature, you agree to be bound by this Mango Savings Feature Customer Agreement. Please read this Mango Savings Feature Customer Agreement carefully and keep it for future reference. Authorized Users. If you permit another person to have access to your Savings Feature, you are liable for all transactions made on the Feature and any/all related fees incurred by that person. The Savings Feature: Use and Purpose. You may not participate in the Savings Feature) unless you have a Mango Prepaid Mastercard which is active, not blocked and does not have a negative balance. If your Mango Prepaid Mastercard is closed, your Savings Feature participation will be terminated. All funds and any accrued interest due to you from the Savings Feature will be returned to you by the Program Manager, Praxell. The Savings Feature may only be used for personal, family or household purposes and is not to be used for commercial purposes. You may only have access to one Savings Feature: Multiple Savings Features associated with a single person are not permitted. Business Entities are not allowed to participate in this Savings Feature. Adding and Withdrawing Funds from Savings Feature. 1) To add funds to your Savings Feature, you must first load them to your Mango Prepaid Mastercard and then transfer them to your Savings Feature through the Mango website go.mangomoney.com. You may not transfer more than $1,700.00 per day from your Mango Prepaid Mastercard to your Savings. 2) To withdraw funds from your Savings Feature, you must transfer the funds from your Savings Feature to your Mango Prepaid Mastercard through the Mango website, go.mangomoney.com. You may not make any other type of outgoing transfer or transaction from your Savings; prohibited types of outgoing transfers from your Savings include, but are not limited to, transfers by check, wire, or Automated Clearing House (“ACH”). Purchase transactions and ATM withdrawals from your Savings Account are prohibited. 3). As required by applicable Federal law, you may make no more than six transfers from your Savings to your Mango Prepaid Mastercard per calendar month. 4)You may not make transfers from your Savings to your Mango Prepaid Mastercard which are in excess of your available Savings balance. If your Savings withdrawal amount results in causing the Mango Prepaid Mastercard to exceed its maximum account balance limit, then the Savings withdrawal will be declined. Withdrawals are considered made on the date the transfer posts and settles to your Mango Prepaid Mastercard, not the date the withdrawal request was initiated. Fees. There are no fees associated with the Savings Feature. However, we reserve the right to charge or change fees related to the Savings Feature upon providing notice to you as required by applicable law. If you transfer funds from your Savings Feature to your Mango Prepaid Mastercard, such funds will become subject to any fees associated with your Mango Prepaid Mastercard. The most current fees will always be available on the Website. To view our simple Fee Structure, go to go.mangomoney.com. Truth in Savings Disclosures. The interest rates and annual percentage yields stated below are accurate as of November 1, 2018. If you would like more current interest rate and yield information, call Customer Service at 855-687-2036 or visit go.mangomoney.com. Requirements to Receive Interest.To receive interest on your Savings Feature, you must have (1) at least $200.00 in completed signature purchase transactions during the month, (2) an average daily savings balance of at least $25.00 during the month, and (3) a $25.00 minimum savings balance on the last day of the month. A completed signature purchase transaction is a Non-PINpurchase made at a point of sale where the merchant secures an authorization without using your PIN number. Your signature purchase calculation is calculated at 7:00 AM EST on the last day of the month. Your Savings Feature Rates, Earnings and Minimum Requirements. 0.10% on balance above $2,500.00. 1.99% on first $2,500.00 of the balance. * There is a required $25.00 minimum savings balance on the last day of the month. **A completed signature purchase transaction is a Non-PIN purchase, made at a point of sale where the merchant secures an authorization without using your PIN number. No Interest Paid for Savings Feature with Average Daily Balances Over $5,000. The maximum balance allowed for your Savings Feature is $5,000. Interest earned and credited to your Savings Account may cause your Savings Feature to exceed the maximum balance allowed. If during any calendar month, the average daily balance of your Savings Feature ever exceeds $5,000, we will not pay any interest on the amount exceeding $5,000 for that month. In order to reduce the balance of your Savings Feature below the maximum balance allowed, you will need to make transfers from your Savings Feature to your Mango Prepaid Mastercard Account. Automatic transfers. We may allow you to set up automatic recurring transfers from your Mango Prepaid Mastercard Account to your Savings Feature. If a scheduled automatic recurring transfer would exceed your available Mango Prepaid Mastercard Account balance, the automatic recurring transfer will be declined and you will not be charged a fee. Savings Feature Closure. When your Savings Feature is closed, we will return to you all available funds from your Savings Feature to your Mango Prepaid Mastercard Account. You may then access those funds via your Mango Prepaid Mastercard Account by any means permitted under the Card Program Agreement. We will not send a check for the available funds from your Savings Feature as long as your Mango Prepaid Mastercard Account remains open. If your Mango Prepaid Mastercard Account is closed as well, we will return to you all available funds from your Mango Prepaid Mastercard Account and Savings Feature, net of fees or uncollected transactions. Change in Terms. Subject to the limitations of applicable law, we may at any time add to, delete or change the terms of this Savings Feature Customer Agreement by sending you a notice of such changes. We will give you notice at least thirty (30) days before the effective date of any change if the change would result in: (1) increased fees you would be required to pay; (2) increased liability for you; (3) fewer types of available electronic fund transfers; or (4) stricter limitations on the frequency or dollar amount of transfers. Advance notice may not be given, however, if we need to make the change immediately in order to maintain or restore the security of your Mango Prepaid Mastercard or any related payment system. If any such change becomes permanent and disclosure to you of the change would not jeopardize the security of the Mango Prepaid Mastercard or any related payment system, we will provide notice to you within thirty (30) days after making the change. Periodic Statements. You agree to receive periodic statements for your Savings Feature electronically. A continuously updated electronic statement is available 24 hours a day, 7 days a week, by visiting the Website. You can also access recent transaction history for your Savings Feature by contacting Customer Service. Business Days. For the purposes of this Mango Savings Feature Customer Agreement, our business days are Monday through Friday. Holidays are not included. (1) If, through no fault of ours, you do not have enough money in your Savings Feature to make the transfer. (2) If a computer system was not working properly and you knew about the problem when you started the transaction. (3) If circumstances beyond our control (such as fire, flood, terrorist attack or national emergency) prevent the transaction, despite reasonable precautions that we have taken. (4) If any failure or malfunction is attributable to your equipment or to any internet service or payment system. (5) If your Access Information has been report as lost or stolen, if your Savings Feature has been suspended by us, or we have reason to believe that the transaction is not authorized by you. (6) As authorized provided in this Mango Savings Feature Customer Agreement. Information About Your Right to Dispute Errors. In case of errors or questions about your Savings Feature, please contact us as soon as possible at 855-687-2036 or write to us at Praxell, Inc. – Mango Prepaid Mastercard – PO BOX 315 New York, NY 10018. We must allow you to report an error until 120 days after the transfer allegedly in error was credited or debited to your Savings Feature. You may request a written history of your transactions at any time by contacting us at the telephone number or address above. You will need to tell us: (1) your name; (2) your Mango Prepaid Mastercard Number, (3) why you believe there is an error, (4) the dollar amount involved, and (5) approximately when the error took place. If you tell us orally, we may require that you send us your complaint or question in writing within 10 business days. We will determine whether an error occurred within 10 business days after we hear from you and will correct any error promptly. If we need more time, however, we may take up to 45 days to investigate your complaint or question. If we decide to do this, we will provisionally credit your Savings Feature within 10 business days for the amount you think is in error, so that you will have the money during the time it takes us to complete our investigation. If we ask you to put your complaint or question in writing and we do not receive it within 10 business days, we may not credit your Savings Account. For errors involving new Savings Features, we may take up to 90 days to investigate your complaint or question. For new Savings Features, we may take up to 20 business days to provisionally credit your Savings Feature for the amount you think is in error. We will tell you the results within three business days after completing our investigation. If we decide that there was no error, we will send you a written explanation. You may ask for copies of the documents that we used in our investigation. If you need more information about our error-resolution procedures, call us at the telephone number shown above. E-Sign Consent. The disclosures included in this Mango Savings Feature Customer Agreement are available to you in hard copy or electronic format; however, you have consented to electronic delivery of disclosures and annual notices. To ensure that we are able to provide you with notices and information from time to time, you must update us with any change in your e-mail address. Disclosures and notices will not be distributed on paper unless you contact us and request a paper version. You may at any time withdraw your consent to receive disclosures and notices electronically. To update your e-mail address, request a paper version, or withdraw your consent, send a written request to Praxell, Inc. – Mango Prepaid Mastercard, PO BOX 315, New York, NY 10018, or contact Customer Service at 1-855-687-2036.